Biomedical research had always relied upon animal testing and it is not a secret that many debates arise from this issue. Many organizations such as American Anti-Vivisection Society (AAVS), and People for the Ethical Treatment of Animals (PETA) have taken their stand against animal testing. They claim that animal testing is “flawed by design.” Many characteristics of animals such as their physiology, anatomy, and metabolism do not simply match those of humans. Mike Leavitt, the Health and Human Services Secretary, stated that nine out of ten experimental drugs fail in clinical studies because the effect of the drugs on humans cannot be accurately identified by having it based on animal testing. That said, animal testing can impede the development of the biomedical technology. A research team of Harvard University have made a breakthrough by creating an effective countermeasure to the stated problem. 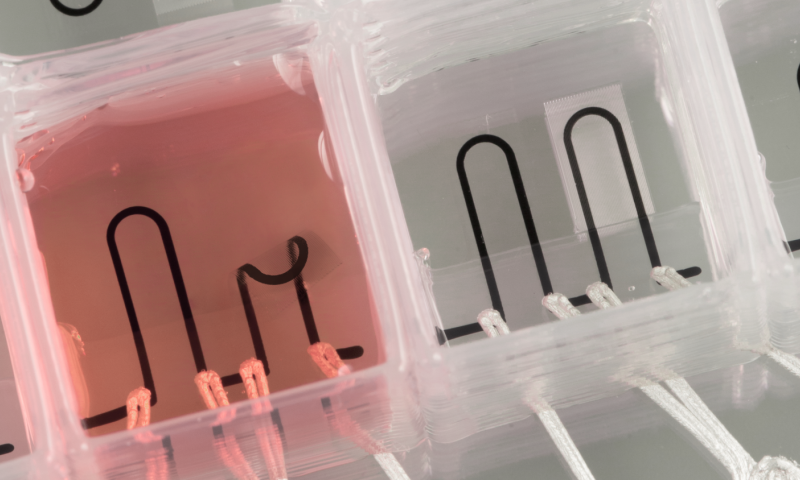 They created the first 3D-printed organ-on-a-chip (also called as microphysiological system) with integrated sensing. The integrated sensors making up the device makes it possible to study cardiac tissues all at once. According to Lind, a researcher at the Wys Institute for Biologically Inspired Engineering at Harvard University, stated that “these integrated sensors allow researchers to continuously collect data while tissues mature and improve their contractility.” The organs-on-chips can mimic the structure and function of a particular human organ which allows the researchers to produce more accurate and reliable data for short-term and long-term studies. This emerging technology is a promising alternative to the traditional animal testing ending the dispute between the organizations fighting for the animal rights and the biomedical researchers. Also, it gives room for advancement in the field of biomedical technology. Want to know more about this awesome device? Follow this link!